I came across this error message when searching my SharePoint Foundation Site. I had already configured the Search and it is working so this message caught me off guard. Luckily I was able to find a quick solution for it before my demo that afternoon. To resolve this issue go to Central Admin. 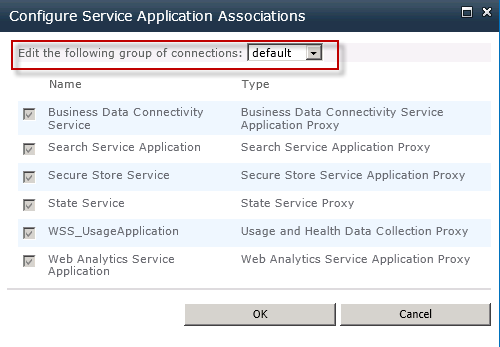 Under Application Management, click on Manage Web Applications, then click on Service Connections in the Manage section of the Ribbon. You may notice that it opens with the [default] settings that are all selected. Click on the list and select the configuration you need to update. In this case it's the [custom] configuration. Then simply click on the Search Service Application check box and click OK.
That's all there is to it, so hopefully this post will help someone else out there. While crawling SSL enabled web applications in SharePoint 2010, it may fail giving the following error. Error message: An unrecognized HTTP status was received. Check that the address can be accessed using Internet Explorer. (WebExceptionStatus TrustFailure The underlying connection was closed: Could not establish trust relationship for the SSL/TLS secure channel. This happens mostly when we implement self signed certs or certs from untrusted authorities in the web servers. In order to avoid the error message and to successfully crawl contents, make the following changes in farm level search settings in Central Administration. Change the setting “Ignore SSL warnings” from No to Yes. So all I needed to do was to go to the Services and look for the service called SharePoint 2010 Administration. It woill not be running so I switched it to Automatic and then started it. Then I was able to re-run my Installation script! FatalError: Backup failed for Object WSS4_Content failed in event OnBackup. 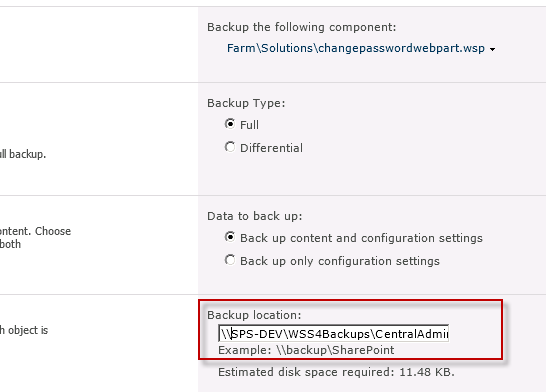 If you're getting this error when running backups via Central Admin in SharePoint 2010 then the most likely cause is that the SQL Server, where your Site Collections are, does not have access to the folder you are backing up to. Meaning, your Farm configuration is on multiple machines. Mine is on 2 machines. A Web Front End (where I run the backups from) and a SQL Server machine. You probably configured the back-up to write to a lettered drive on the Web Front End. Don't worry, I did this too then I realized that it would be best to make a Shared Folder that has the correct permission so thet BOTH machines have access to write to the same location. Then it worked. Error: Access is denied. Verify that either the Default Content Access Account has access to this repository, or add a crawl rule to crawl this repository. 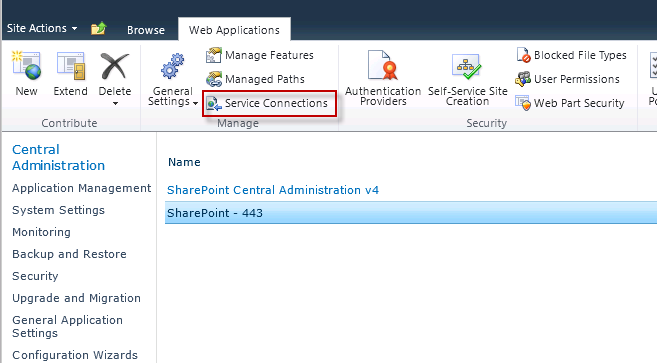 If the repository being crawled is a SharePoint repository, verify that the account you are using has "Full Read" permissions on the SharePoint Web Application being crawled. If you get this error in your Crawl search log then the problem is directly related to the infamous loopback Issue as described below. The OFFICIAL Microsoft KB article describes the 2 different ways to resolve this issue. The following is copied from the KB link above. 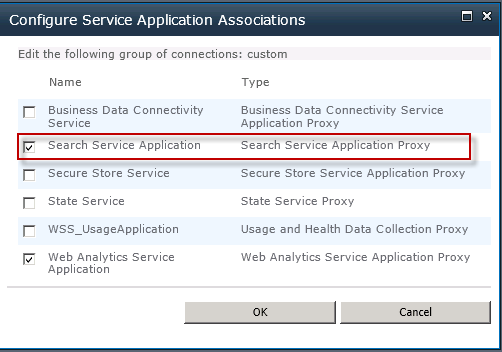 After installing and configuring Search Server Express 2010 on Foundation I was unable to open the Search Service Application I had created in order to configure the crawling. To fix this problem you need to do the following. Highlight the Search Service Application Service that you can't get access to. Add your account to the list of Administrators and then check the Full Control Check Box. Now you should be able to click on the Service Application and Administer it. I had yet another one of those head banging on desk moments yesterday and then discovered the solution today! The problem was that I could NOT log onto SharePoint 2010 Foundation on the machine that was hosting the site (known as the WFE, the Web Front End) using the FQDN (Fully Qualified Domain Name), such as http://mydev.foobar.com. I could, however, log in just fine externally from the domain and even from a different machine in the same domain. I could also log into it on the WFE using the local machine name, like http://MyServer. No matter how hard I tried I could NOT log into the damned SharePoint site using the FQDN on the actual WFE. It prompted me for credentials which I entered correctly but it just kept prompting me. I even had the network guys set up a zone on the DNS and create A Records etc. But still it wouldn't work. Not only that but the Search Engine Crawl failed for the FQDN and would only work for the Local machine name. So I went on a quest and found the answer. Rather than claim it as my own I have added the link to the article AND also added the resolution steps, just in case the article vanishes from the web! Don't you just hate it when someone posts something and all they do is say the answer is in this link, then the link is so old that it's gone! For the record, this solved my issue on Windows Server 2008 R2 running SharePoint 2010. ALSO AS DC! :) For all you purists! 3. Right-click Lsa, point to New, and then click DWORD Value. Type DisableLoopbackCheck, and then press ENTER. 4. Right-click DisableLoopbackCheck, and then click Modify. In the Value data box, type 1, and then click OK.1.2. If you've ever configured SharePoint search in 2007 or 2010 then you may have come across this nasty gotcha. In the SharePoint 2010 world your results would look like this! Nothing! But you know your search engine crawls correctly because you've seen it work and there are no errors in the log! The reason why this happens is the Default URL is not the one used in the Search crawl. If you don't have this configured correctly then you'll get zero results returned. Not only that but you will see some very weird happenings. When I was playing around trying to understand the problem I did a search and frustratingly got no results so I decided to log in as a different user, and then I saw the results of the search! Wow, that was just silly, so I did another search, thinking it would now work. But no it did not. OK, I thought I would switch back to the previous user again, and guess what! Yes, I saw the results again. But then searching failed if I tried another search. It really stumped me to think that the only way to see search results was to do a search and then log in as a different users. That's what I mean about weird stuff. The Default URL in this Alternate Access Mapping is used in the Search Configuration. So just following the configuration below is all you need to get results.